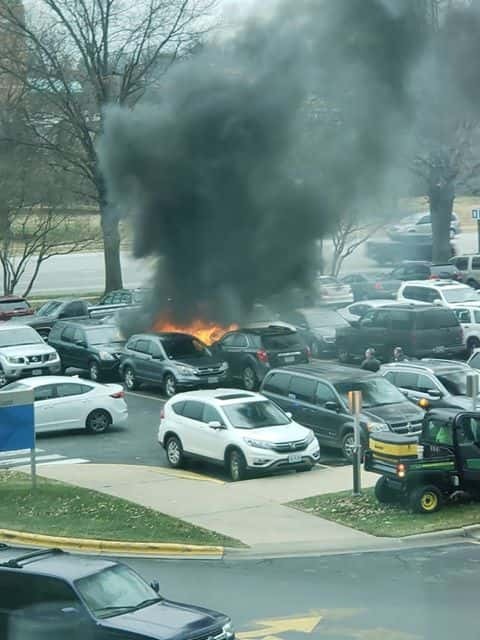 A patient at Cox South witnessed a large car fire near the north entrance to Cox South in Springfield late Thursday morning. The Springfield Fire Department quickly had the flames under control. No word on any injuries. The witness told KTTS News that one car caught fire, then possibly spread the flames to other cars in the parking lot that faces Primrose.